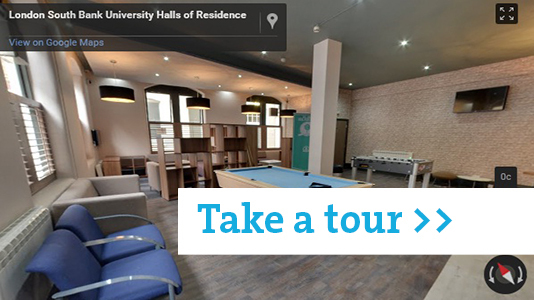 This central hall of residence is conveniently situated for the local shopping centre. The nearest underground station is Elephant & Castle (Bakerloo and Northern Lines), which is approximately 5 minutes' walk away and the area is a hub for buses. Take a tour of New Kent Road. This residence has 81 non-smoking rooms for first year students. 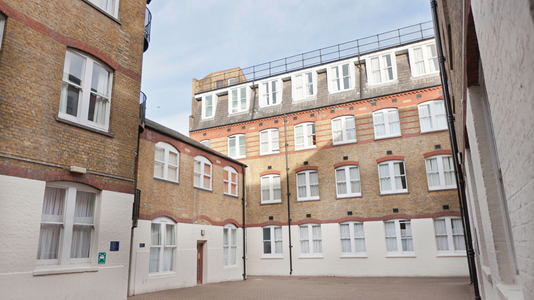 The accommodation is single occupancy 'cluster flats' for between four to six residents, with each resident sharing a communal kitchen/dining area and bathing facilities. Basic cleaning equipment, including a vacuum cleaner, is provided. Each flat and individual bedroom is fitted with a security lock. There is a central lounge and coin-operated laundry. Each bedroom has a data point and wifi allowing access to the University's intranet and the internet.